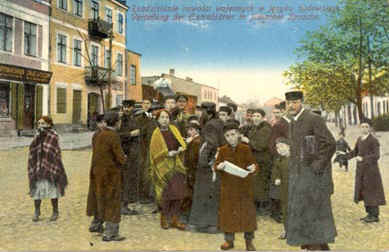 You are invited to participate in an online discussion of Lodz area topics of genealogical interest. There are over 80 towns included in the Lodz Area Research Group (LARG). The LARG mailing list is a moderated mailing list hosted by JewishGen and will follow the guidelines for "netiquette" established for the JewishGen Discussion Group, as well as for all of the mailing lists hosted by JewishGen. Use the JewishGen Subscription Management page. Use the JewishGen Support Center and scroll down to "Mailing Lists". Send postings in "Plain Text" format. Messages sent in "MIME" format cannot be accepted. Sign up for a free E-mail account at one of the following services, http://www.yahoo.com, http://www.hotmail.com, or http://www.juno.com in order to send messages in "Plain Text" format. You must subscribe to the Lodz area list with the email account from which you send messages. You may subscribe with more than one email account. We welcome you to the group, and look forward to your contributions of ideas, materials, and time. Please review the guidelines for posting messages at: http://www.jewishgen.org/infofiles/rules.htm, particularly the section on "netiquette." In the search field type in "Lodz" to retrieve past messages, or use the drop down menu to select "Lodz Area Research Group," then type in your search term(s). NOTE: LARG gratefully acknowledges Philip Lazar for authoring the LARG Mailing List Welcome Document.